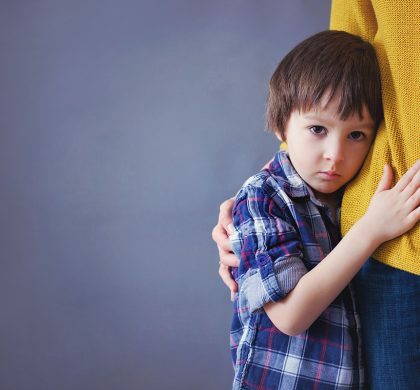 This article discusses how a retained Asymmetrical Tonic Neck Reflex (ATNR) could be the reason behind a child having dyslexia. Affiliate links are included for your convenience. Integrated Learning Strategies (ILS) is a learning and academic center. As a reminder, ILS is not a health care provider and none of our materials or services provide a diagnosis or treatment of a specific condition or learning challenge you may see in your child or student. If you seek a diagnosis or treatment for your child or student, please contact a trained professional who can provide an evaluation of the child. 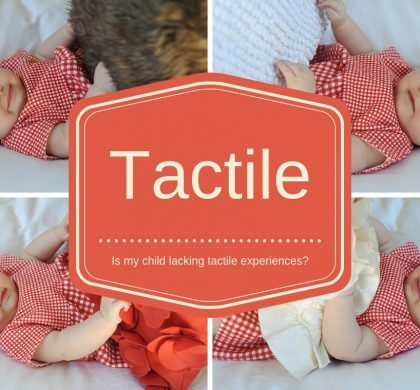 Retained Asymmetrical Tonic Neck Reflex (ATNR) can affect your child’s writing ability, tracking, crossing the midline, balance and coordination and bilateral coordination. The ATNR emerges at 13 weeks after birth and should be fully integrated in the child at 6-7 months. 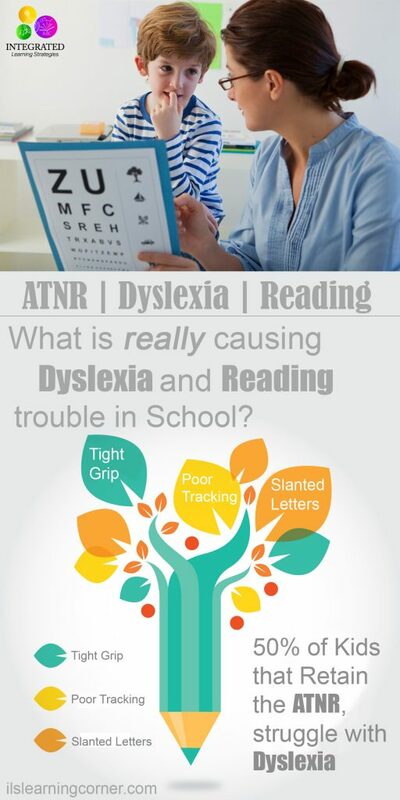 50 percent of children that retain the ATNR reflex are diagnosed with or display signs of dyslexia. 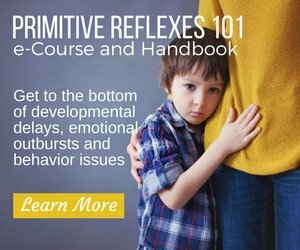 There are approximately 70 primitive reflexes identified in each child. The reflexes we focus on directly affect a child’s educational process. To better understand the role of primitive reflexes, let’s compare them to an orchestra. Primitive reflexes, from conception through childhood are very much like a symphony. 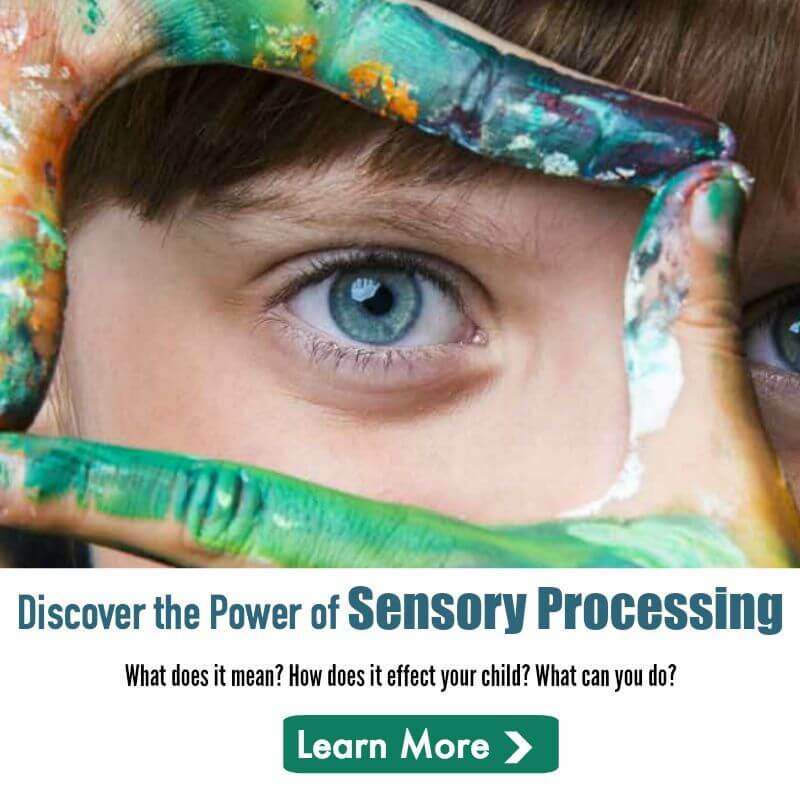 All the instruments can be compared to the many primary reflexes that come together to create a masterpiece. All the moving parts, the transition into other reflexes, and the eventual disappearance of each reflex into more complex, mature movements are the living core of the orchestra. Some reflexes influence movements that hold the keys to educational success in every child’s future. The ATNR is a prominent primitive reflex that is part of the foundation for the future educational skills of the child. The ATNR primitive movement starts to switch gears when birth is imminent. 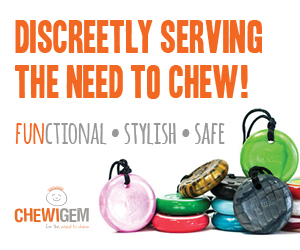 It contributes to both the motor ability and flexibility that is essential for the birthing process. 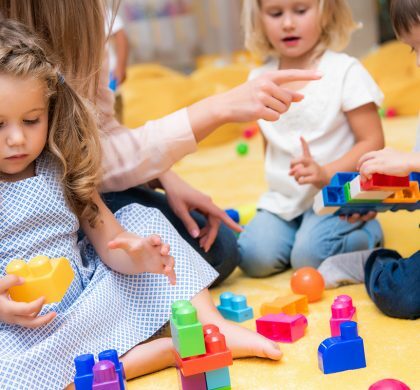 After the baby is born, the ATNR starts to develop key motor skills, including fine motor skills, each child needs in every stage of development. These skills include rolling over on the stomach, crawling and early eye-hand coordination used for reading and writing. The ATNR emerges at 13 weeks after conception and should integrate around 6-7 months after birth. Everyone knows when one note or instrument is played wrong, the entire orchestra sounds off-key. The same problem happens when the ATNR is not integrated. When the ATNR is retained or when there is a disruption of integration, the child can’t move forward to more mature motor movements (for example, crossing the midline, bilateral coordination, eye tracking and hand-eye coordination). The retention of this reflex causes the most conflict with the child’s reading and writing abilities if the child exhibits this reflex past the normal age (6-7 months). 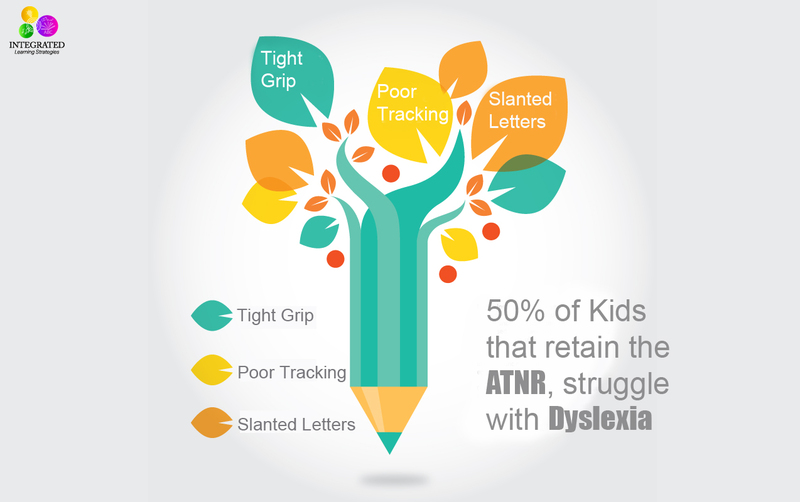 50 percent of kids who experience a retained ATNR struggle with dyslexia. 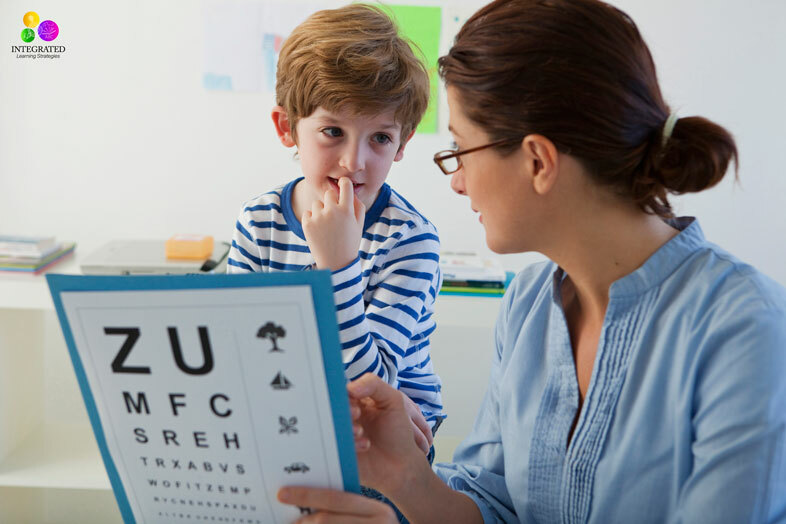 When a child exhibits a retained ATNR, it significantly impacts their vision and reading skills. In fact, more than 50 percent of kids who experience a retained ATNR struggle with dyslexia. A child with these retained movements often experiences difficulty with crossing the midline activities (for example, bringing hand and arms to other side of body, kicking a ball across the body to the opposite side and eye tracking). If your child exhibits issues from a retained ATNR, their reading and vision may not be the only skills affected in the classroom. Poor Handwriting is also one of the most obvious signs of a retained ATNR in a school-age child. 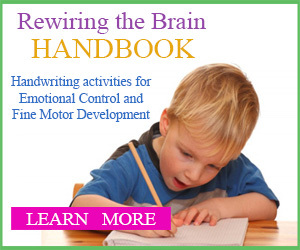 Other signs a child may have an active ATNR that can affect their writing ability. 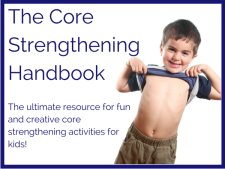 If you suspect your child has retained the ATNR because their handwriting, fine motor skills and reading ability may be delayed, there may be exercises to help. 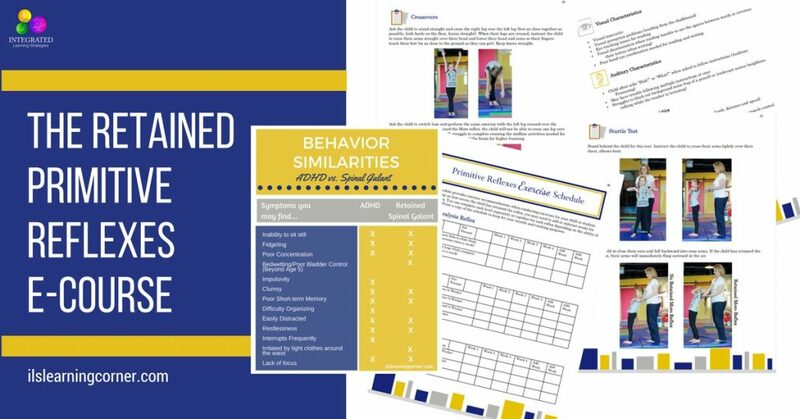 The Retained Primitive Reflexes 101 e-Course provides exercises and contains videos, instructions and pictures that may help with retained reflexes. The e-Course is only offered two times a year so join now to save your spot! 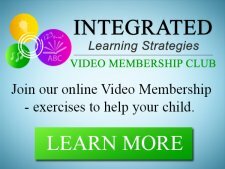 In addition, other beneficial exercises are included in our video membership that also contain primitive reflexes as well as physical education activities to strengthen the body and the brain. 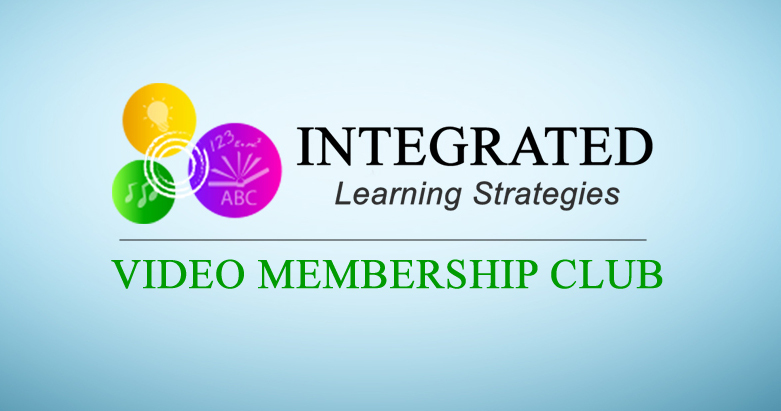 The video membership includes access to several videos and interventions that could be beneficial for your child’s academic potential. It also allows you to track your progress and reach certain goals you set with your child. To join our team, click here.